Looking for an ideal starter home? this could be it. 2 bedrooms/ kitchen & living upstairs with an un-authorized 2 br garden level suite down. Need some extra space for projects or storage? Check out the detached 434sqft garage. 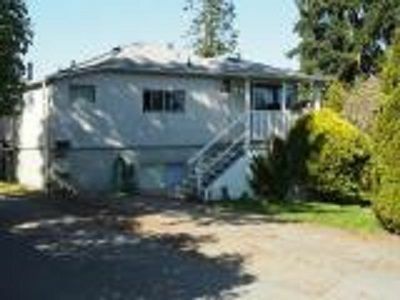 Corner lot, alley access, steps to VIU, shopping, parks and schools, with 2 kitchens, this is an opportunity that won't last long. All data & measurements are approximate & should be verified if important.